Since I’ve been trying to live a healthier lifestyle, I’ve been paying more attention to what I put in my body. Small changes like buying organic veggies have spilled over into the way that I feed my entire family and product by product, I’ve began to transform the way we all eat. While these small steps towards a healthier lifestyle are just getting started for me, I’m beginning to discover that eating the right way can be totally delicious. It just means finding better-for-us ingredients and then coming up with creative ways to serve up easy yet delicious meals. 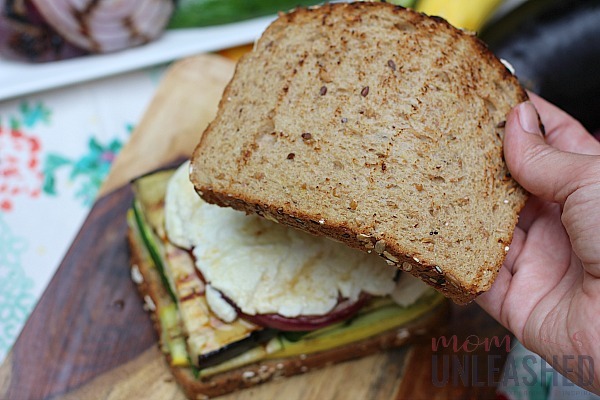 Since summers are all about sandwiches in my house, I’ve recently transformed the plain old sandwich and created a delicious, drool-worthy Grilled Veggie Sandwich with Goat Cheese that even the kids adore! 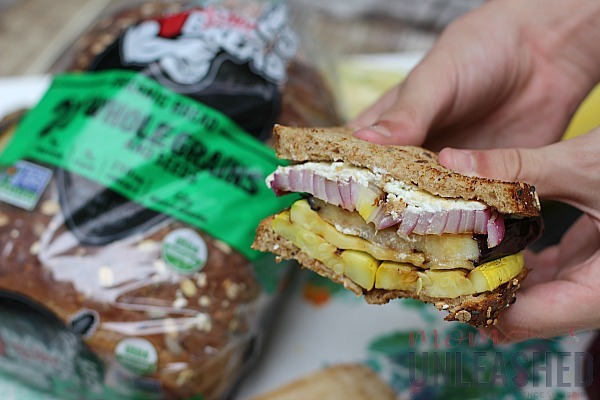 Made with Dave’s Killer Bread that is available at Walmart, this easy to make sandwich is a summer favorite of my entire family. So, how did I get the idea for this easy yet delicious sandwich that’s seriously perfect for the warmer summer months? Well, on a recently trip to Walmart, I happened to spot Dave’s Killer Bread. Now normally I would have just kept going but with my healthier eating goals in the front of my mind, the USDA organic label caught my attention (not to mention the cool guitar player on the label). 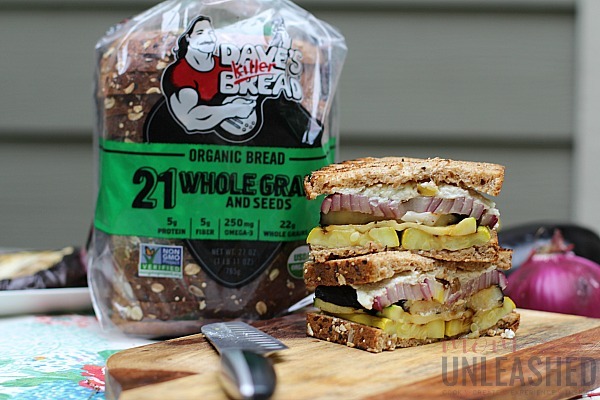 As I stopped for a second look, I was impressed with the fact that Dave’s Killer Bread is the #1 selling organic bread brand in the country that’s powerfully different and is packed with protein, fiber and whole grains. As an added bonus, it has no artificial anything, making it a perfect choice for my new way of thinking (and eating)! After picking up the 12 Whole Grains and Seeds variety, I started thinking about how I could turn this perfect bread into the perfect sandwich. Since I’m crazy about veggies right now, the idea for my Grilled Veggie Sandwich with Goat Cheese actually came to me pretty quickly! 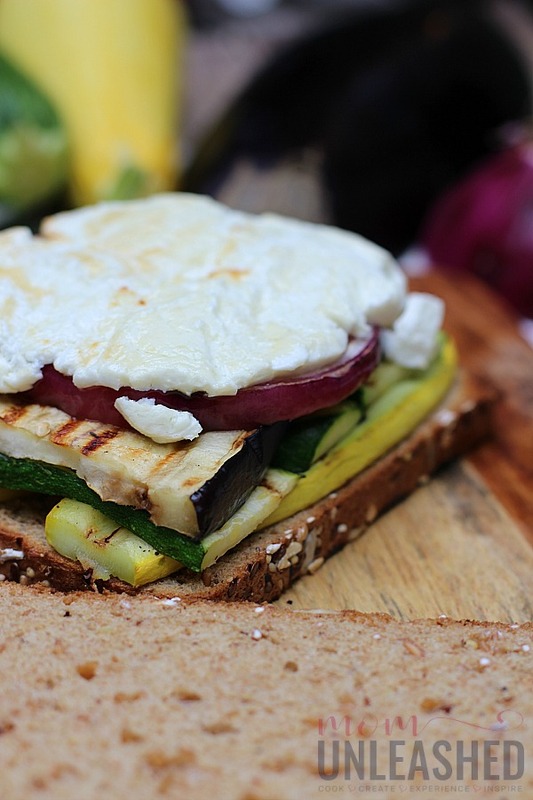 This Grilled Veggie Sandwich with Goat Cheese is full of crispy, grilled veggies and is just right for summer lunches or dinners. Wash all veggies and slice into long, narrow sections. 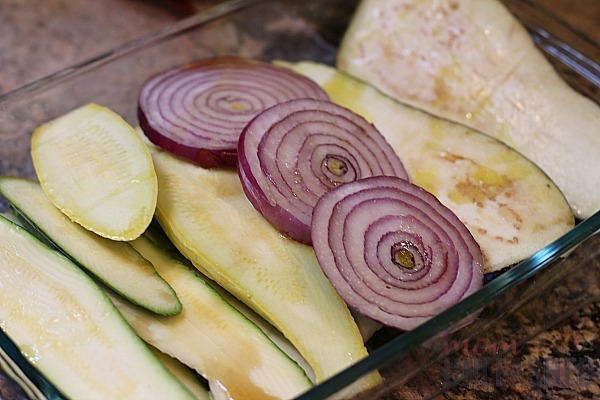 Pour olive oil and balsamic vinegar over veggies to coat. Grill veggies on grill until tender. Remove and set aside. Grill bread for about 1 minute. Remove and set aside. Layer veggies onto the bread and top with goat cheese. Allow goat cheese to melt slightly and enjoy! I have to say, this is the quickest meal I make all week and it’s also one of the most delicious. To start it, I washed my veggies and sliced them long ways, creating “steaks” that would easily grill. Once I had sliced all my veggies, I poured my olive oil and balsamic vinegar over the top and tossed them gently to coat them. Once my veggies were prepared, I placed them on a preheated grill and cooked them on each side for about 3 minutes, just long enough to soften them without causing them to lose their crunch. 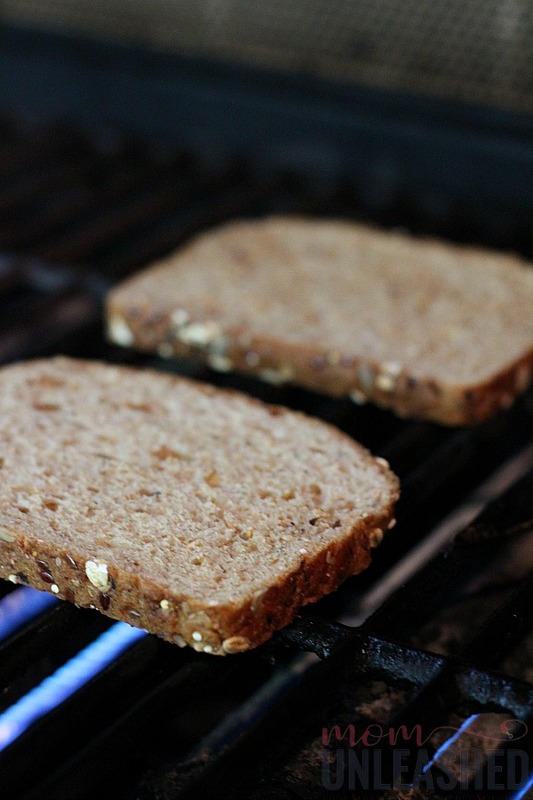 After removing my veggies from the grill and setting them on a platter, I added my Dave’s Killer Bread’s 12 Whole Grains and Seeds pieces to the grill. With it’s hearty texture, subtle sweetness and seed-coated crust, I knew it would compliment my veggies perfectly and since it has 5 grams of protein, 250 mg of Omega-3 and 22 grams of whole grain per slice, I had no doubt that it would help create the perfect lunch or dinner. After grilling my Dave’s Killer Bread just long enough to make it crispy I removed it from the grill and was ready to assemble my Grilled Veggie Sandwich with Goat Cheese. To do this, I simply laid my piece of Dave’s Killer Bread on the cutting board and piled on my veggies. Once I had all my veggies added to my sandwich, I topped it with Goat Cheese. Since my veggies were still warm from the grill, the goat cheese melted perfectly, creating an easy meal that truly had me drooling. After placing my top piece of bread onto my Grilled Veggie Sandwich with Goat Cheese, all that was left to do was slice it in half and enjoy! I kid you not when I say that this sandwich is absolute perfection! 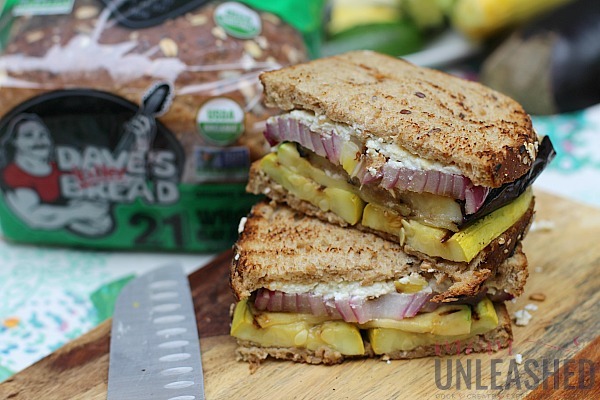 From the nutty sweetness in the bread to the perfectly grilled veggies that are just juicy enjoy to make the sandwich amazing, this creation is one that I know my family will be enjoying all summer long! 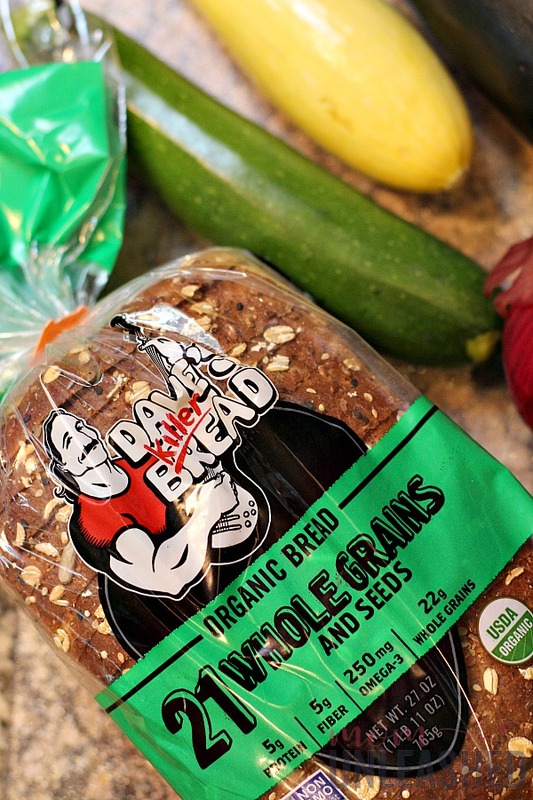 I love knowing that in addition to feeling great about my family getting veggies in a delicious way, they are also getting the USDA Organic, Non-GMO project certified deliciousness of Dave’s Killer Bread from Walmart in each and every bite. Now it’s your turn! Whether you’re looking for a USDA Organic bread to help you make the switch to a more organic way of eating or just want the most delicious bread around that’s perfect for sandwiches, toast or just enjoying alone, you’re looking for Dave’s Killer Bread! Pick it up quickly and conveniently at Walmart today while you’re doing the rest of your weekly shopping and then try your hand at making my Grilled Veggie Sandwich with Goat Cheese, an amazing piece of toasts or pretty much any other creation you can think of. Now tell me, how will you enjoy the delicious taste of Dave’s Killer Bread today? We always have Dave’s Killer Bread in the house and I’m always looking for new sandwich recipes. This one looks so good. I love goat cheese and veggies! What an incredible sandwich. I would love this for lunch one day. It’s much better than my boring cold cut sandwich, that’s for sure. I need to try this bread too! I have been making our own bread for years now and have never tried this type of bread. For those who don’t make bread this product sounds like a winner. The sandwich looks delicious. 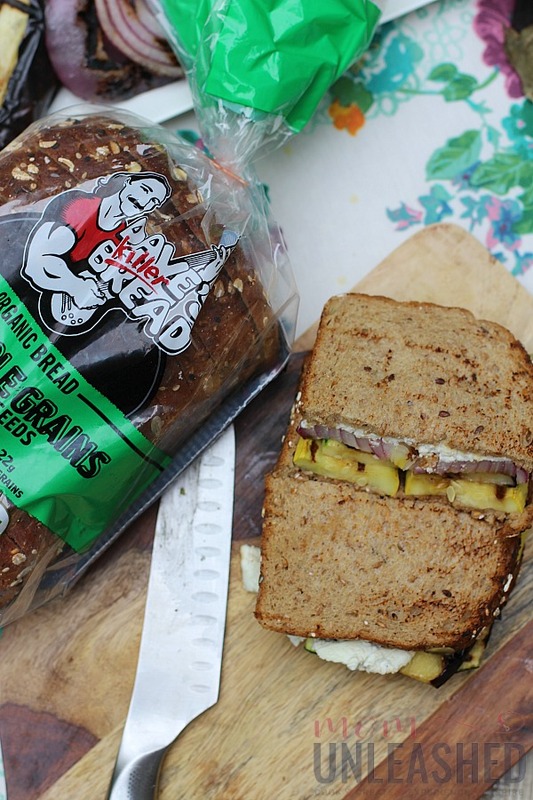 That whole grain bread looks absolutely delicious! And what a filling, hearty sandwich – looks like a great option for lunch! I could eat that bread plain it looks so hearty and full of grains. 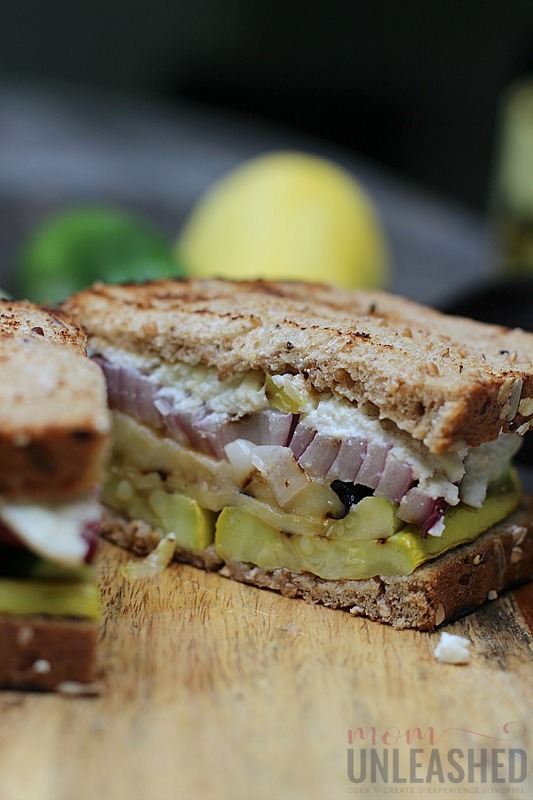 I love a good vegetarian or vegan sandwich so I will try to make this one. I normally feel like the bread plays a key role in making the sandwich. This Dave’s bread looks like a great choice for the veggie/goat cheese delicacy you put together. Without any meats in the sandwich as a whole, it’s almost as if the heartiness of the bread helps substitute and makes it taste more substantial. Well done! 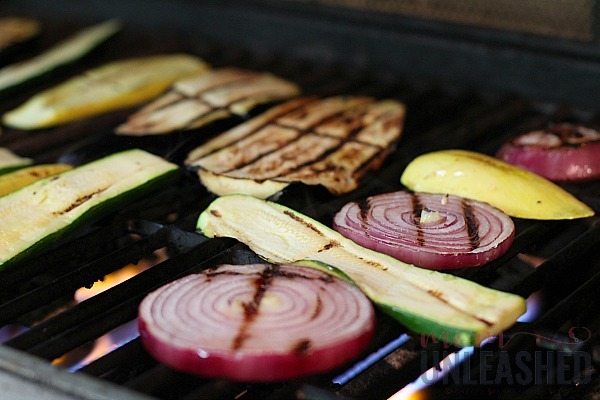 Love grilled veggies during the summer! Will have to save the leftovers to try making a sandwich like this. You had me at the inclusion of cheese! This sounds absolutely amazing and definitely something I would love to try making at some point thank you. Oh, I’ve had some of that bread before! It’s really good! That looks like a really fun interesting sandwich. At first I was like grilled veggie sandwich, ew! But girl that sandwich looks amazing!! I love how you grilled each veggie separately! I bet that sandwich tasted amazing!! This sounds absolutely amazing! I love it when veggies are grilled just right. I am going to have to try this out soon! That’s the kind of bread my husband loves. This grilled cheese looks delicious especially the addition of veggies. 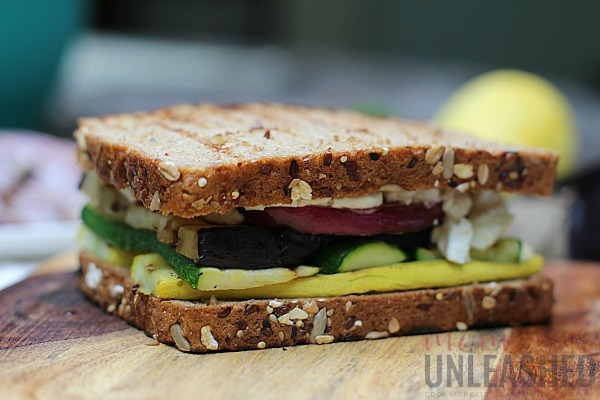 Oooh I have never had a grilled veggie sandwich but I feel like it’s the perfect summery lunch! This looks delicious! I have heard nothing but amazing things about this bread. When I had Gestational diabetes in our Facebook group this was the go to bread everyone raves about! This looks DELICIOUS! oh, my goodness! That looks really good…I can smell the grilled red onions. I love Dave’s! Thanks for sharing. Hmmm, I have never tried this before and I guess time for me to try this over the weekend. My parents love to have it grilled too. 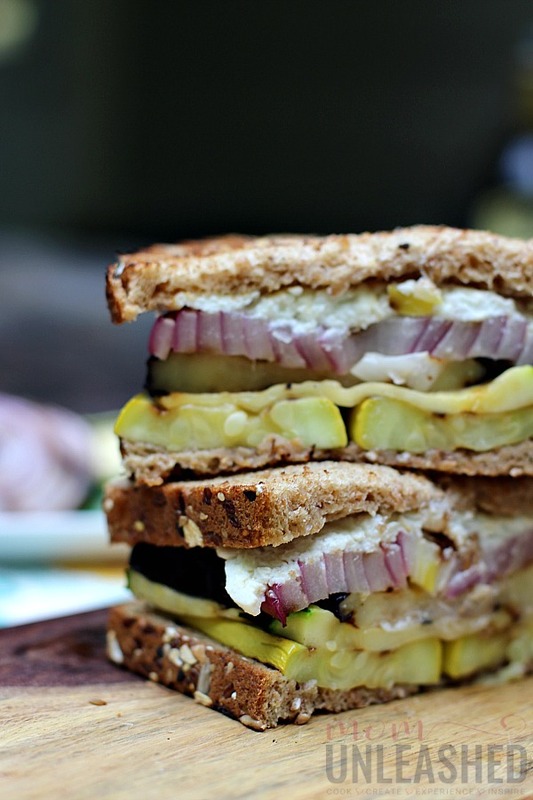 I love a good grilled veggie sandwich. That bread makes it even more fantastic adding in nutrients. As a vegetarian, protein is a concern so having it in my bread is a huge win. That sandwich looks amazing. Healthy and nutritious does not mean boring!